This is #3 in my V2V project where I post a picture of a village sign and some info about the village. 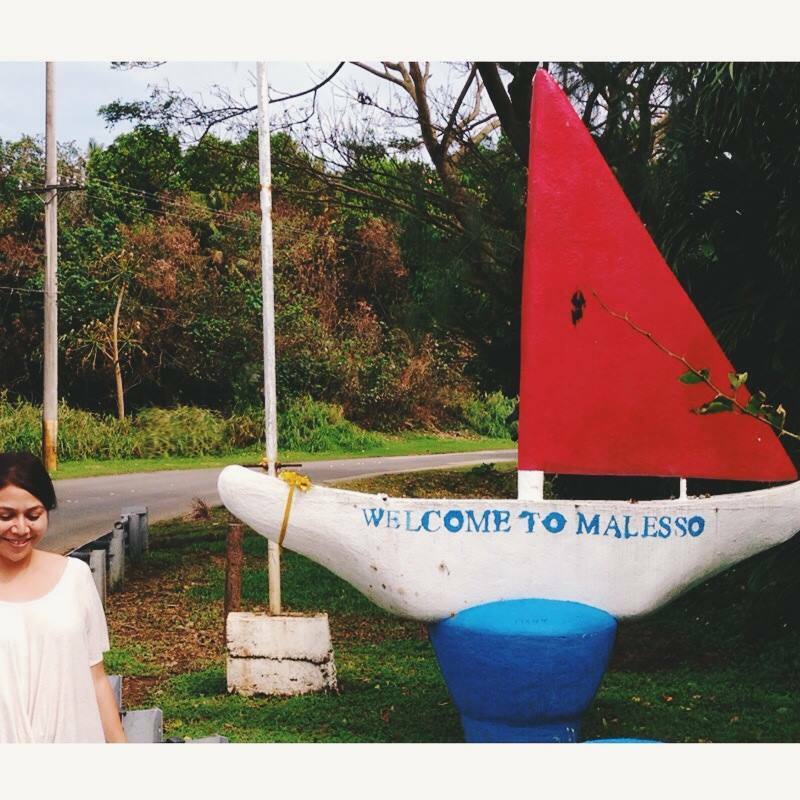 Malesso’ is the southernmost village in Guam and Ernest T. Chargualaf is the mayor. As of the 2010 US Census, the population of Merizo was 1,850. Always known as a place for fishing, the village’s original name, Malesso’, derives from the Chamorro word lesso’, a juvenile stage in the growth of rabbit fish. Juvenile rabbit fish, or mañåhak in Chamorro, run in schools at certain times of the year in the bays and inlets of the village. Their arrival is always an occasion of great excitement, as groups of people large and small work nets to gather the local delicacy. While there are few accounts of the pre-Spanish colonial era on Guam, Merizo’s abundance of fresh water, its protected lagoon, extensive reef and shorelines, and its fertile valleys suggest that the area likely sustained a large population. By 1833, however, the population was estimated at only 318. By this time, disease, calamity and the Spanish-Chamorro wars had reduced the native Chamorros. In 1946, the first woman was elected to the Guam Congress. Rosa Aguigui Reyes, from Merizo, served in the congress – an advisory body to the island’s naval governor – and was also a longtime educator. She died January 2007 at the age of ninety-one. Some of my favorite things in Malesso’ are: Priest’s Pools, Cocos Crossing, the annual Crab Festival, the view of Cocos Island from the pier and Josh Tyquiengco. Raise your hand if you’re from Malesso’! Your own village is so cherry. My utmost thank you for the nice words written about the beautiful village of Malesso I call my home. I left Guam since March 27, 2001 at approximately 06:00 a.m. to joined my wife Conchita and yes I misses my home the beautiful Village of Malesso; as well as my brother Dimas, sisters Emily, Maria and there children my nephews and nieces. Of course my relatives and my friends as well. I call my self-vocal when there issues back home “ Guam” and most specially my beautiful village of Malesso! Honestly only my body left Guam not my spirit. Believed or not my spirit is very much alive. Trust me I know what is happening back home and most specially my beautiful Malesso village. Due to health issue that holding me back from voicing the issues in Guam and most specially my beautiful Malesso village. Concerning politics, I support both Democrat and Republican. I support the candidate that is for the people not for there interest or for their pocket. If people believe in this standards Guam will be a better place to leave and most specially our villages!